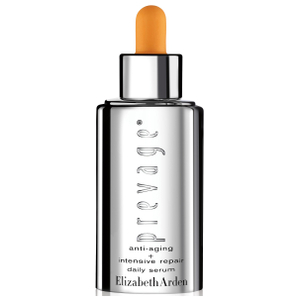 Protect and prepare your skin for the beauty battlefield with new Prevage Face Anti-aging Serum. The first Serum incorporating revolutionary Idebenone, encapsulated and time released to correct, the most powerful antioxidant available today* with an EPF rating of 95. Perfect to compliment the star treatment product Prevage Anti-Ageing Treatment to fight ageing, shield skin from environmental assaults, dramatically diminish appearance of existing sun damage, wrinkles, discolorations and age spots. The proof is in the results: Idebenone vs. six*other Common Antioxidants scored 95+ on Environmental Protection Factor, the highest result ever! 95% of consumers tested reported softer, smoother skin, test conducted on 115 women over 4 weeks. 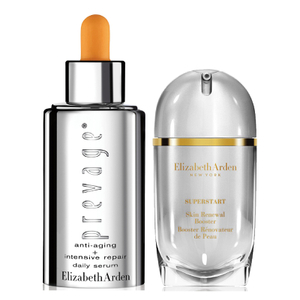 Use it morning and night as the first step of your PREVAGE regimen, after cleansing and toning. 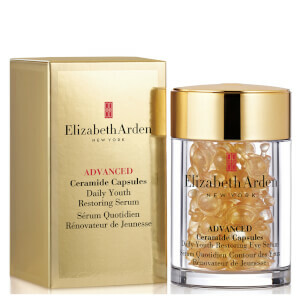 Then add your appropiate Prevage Anti-Ageing Face Cream. Before beginning to use PREVAGE on a regular basis, apply a small amount of product (less than one pump) daily for at least three (3) days to a small area of skin on the forearm near the inner side of the elbow. If any itching, burning, redness, or swelling occurs during this trial period, wash the product off and discontinue use immediately. If no reactions occur, follow the Regular Usage instructions.